Hmm… now, not only can people easily access my social media sites, but what I’m saying directly. For instance, if you keep scrolling, you can find out I had a craving for Chinese food one night. 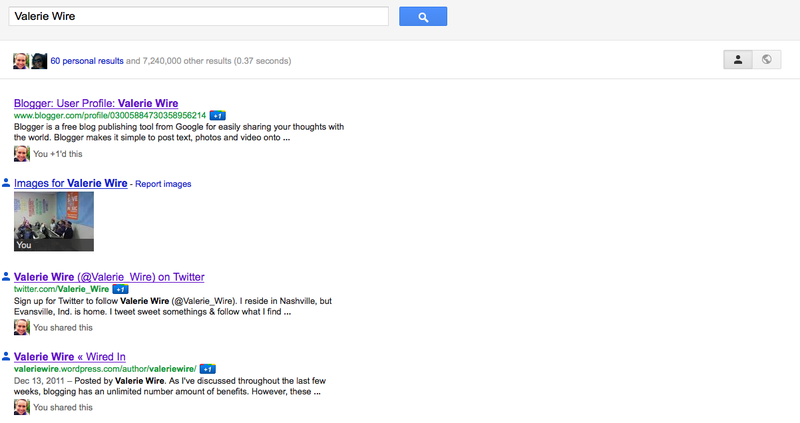 …Do I really want people to Google me and see that? Do I want that to be associated with my personal brand? Well… I do like Chinese food, but no, I don’t want people to remember me for that reason. They can also see the people I interact with and how I interact with them. Yes, that means even my old roommate and close friend whom I good banter with every now and then. 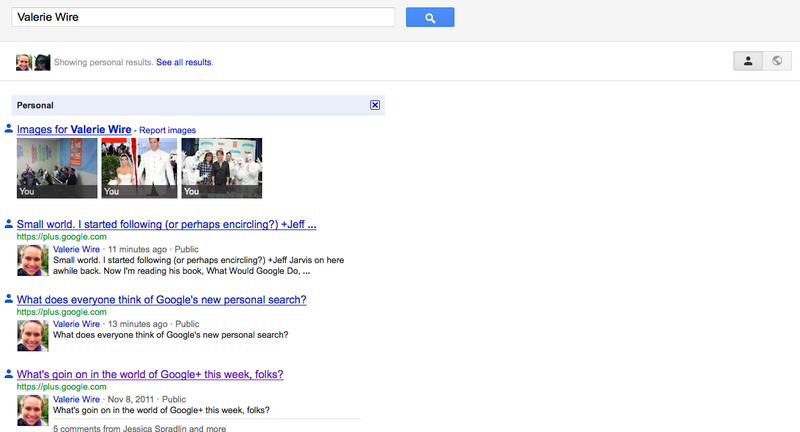 But, again, do I really want people who are Googling me to see that? To associate me with that sarcasm, which may come off as plain rude? No, no I do not. Which I can now access by clicking the little icon that looks like the world in the upper-right corner. Of course I’m more comfortable with people seeing this information than the previous information. They can find all the information they found in the “personal search” but it takes a bit more digging, a bit more work. It also gives a different first impression. 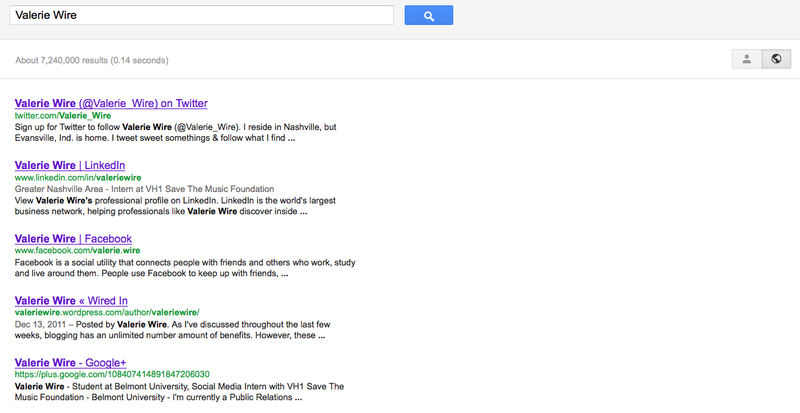 The regular Google search brings up my social media profiles and their links and descriptions. This shows I’m fluent in social media and gives a bit of information about me, information that I’ve easily controlled. The personal search, however, brings up images of Kim Kardashian and her ex-husband. Other VH1 Save The Music Foundation photos that would seem to the unknown eye as strange men in all white with some hipster looking fellows, when in reality these photos stem from events I’ve worked with, VocaPeople & Hanson. But is that the first impression? I’m not sure how I feel about this new personal search. It definitely makes me feel as though I need to be more aware of the content I am posting online, what I’m discussing, and the language I use, given that the whole world is able to access it and formulate thoughts and opinions around it. What is your opinion? Have you personal searched yourself lately?